When we think of air pollution, Delhi is the first city that comes in mind. However, it’s not the only polluted city in India. A report from WHO claims, 14 out of the 15 world’s most polluted cities are from India. Pollution is a major concern since it affects your health directly. Whilst you cannot do anything about the air on the outside, you can, however, clean the air in your room using an Air purifier. But air purifiers are a new thing in India so it is difficult to decide what one to buy. Before you ask, yes, Air Purifiers are effective. And after a lot of research, we settled for the Mi Air 2s and Philips AC2887 at our TechWiser office. But not everyone has the same needs. So here are some key points which you should consider before buying an air purifier. 1. CADR or Clean Air Delivery Rate is a rating which you should look out for while choosing an air purifier. As a general thumb rule, higher the CADR value the more efficient the air purifier is. CADR means the volume of fresh air the air purifier can produce within an hour. There is catch though. Each air purifier is given 3 CADR values for smoke, pollen and dust respectively. However, most companies cherry-pick the highest CADR value and don’t mention the rest two. Also, CADR does not work in case of large office purifiers, which brings up to the next factor. 2. Effective area: You need to first calculate the area of the room where you want to use the air purifier. This is a major point to be kept in mind while selecting the right air purifier. Ideally, select an air purifier which covers a larger area than your room. This means that the air purifier won’t have to work at the highest speed all the time and this, in turn, also means less noise. 3. Filters: Finally, make sure you select an air purifier with HEPA filter (short for high-efficiency particulate arrestance) or at least HEPA type filter. An ideal air purifier should have 3 types of filters installed: Primary filter to keep the larger particles away and thus extending the life of the HEPA filter. HEPA filter which internally purifies the air and a carbon filter which helps emitting gases and bad odour. Another thing to watch out for is the life and price of the HEPA filter, since it needs to be replaced in every 6-8 months depending on the use. Now, with that out of the way, let’s check out some of the best Air purifiers in India. This is the cheapest air purifier that you can get in India. It is relatively small in size and is ideal for small rooms or a desk. 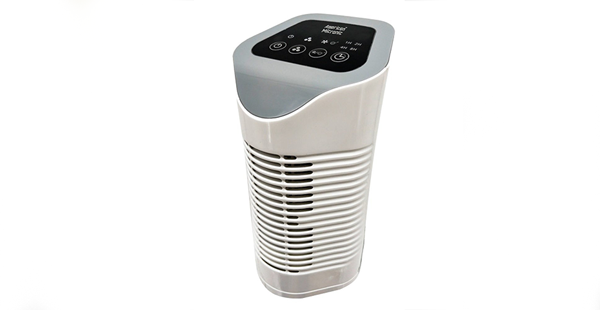 This Air purifier comes with a HEPA filter, a pre-filter for larger particles and a carbon filter to remove bad odour. It has a decent CADR rating of 220 and comes with a year of warranty. The replacement filter is also economical, making it ideal for personal use. The coverage area of this filter is 200 sq.ft. The office is based in Gurgaon but we haven’t had any experience with the customer service. 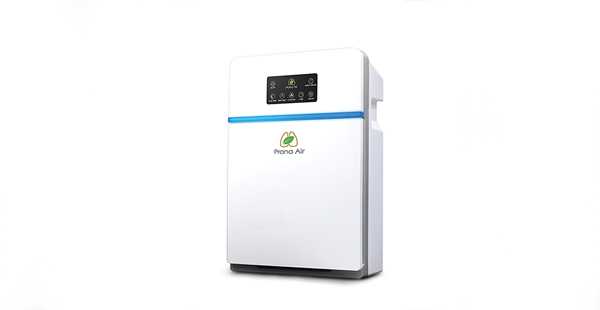 What I don’t like about this purifier, is the fact that it emits ions to trap pollutants and thus creates ozone which is not good for the environment. If you are looking for an air purifier for your living room or small office, this is an option you can consider. It is economically priced and made by an Indian company called Prana Air. 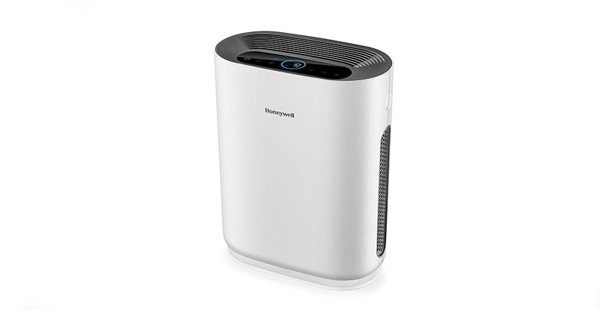 Like the previous Air purifier, this one also comes with 3 filters including a HEPA filter. 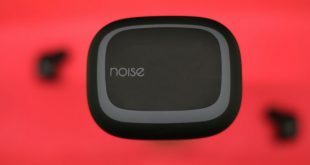 What makes it different from others is the remote control which helps you operate the device from a distance. The coverage area is up to 441 sq. ft. Also, unlike the previous one, Prana Air Purifier is completely ozone free. One thing to keep in mind though, the replacement filter is not available in the market, yet. As per the company, the same will be available from February on the official website. There is no Air Quality Indicator. Xiaomi always produces the most value for money products and this air purifier is no exception. Priced at ₹ 8999, this is the best air purifier you can get at this range. It not only offers a decent CADR (310 m3/h) but also has integration with Xiaomi Mi Home app. Meaning you can change the fan speed, schedule ON/OFF time directly from your phone. But one of the best things about the 2S is the fact that you can see the filter life within the app. Unlike the previous generation, this one comes with an OLED display which shows PM 2.5 level along with the ambient room temperature. It also has a 360-degree air intake so placement of the air purifier shouldn’t be a concern. We couldn’t find any information on the HEPA filter on 2s. Thankfully, it uses H11 grade which is 95 percent effective at reducing air pollution. A more expensive filter, use an H13 or H14-grade filter that filters with a 99.95-99.99 percent efficiency, but H11 is more than enough for most homes. 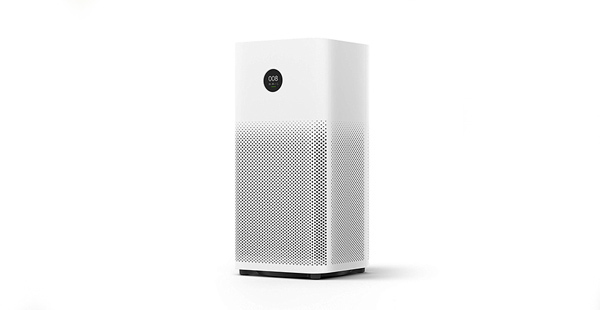 On a personal note, our Xiaomi Air purifier stopped working within 3 months, and we’d to take it to the service center. While the replacement process was swift, we’d appreciated an on-site checkup. Which brings us to our next contestant. 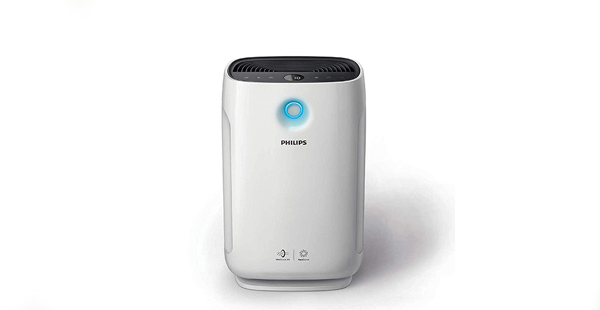 If you can spend a little bit extra and want an air purifier from a Tier 1 brand, you should try Philips Series 2000 AC2887. It has a CADR rating of 333 m3/hr and a coverage area of 441 sq. ft. This should be good to go for your living room or hall. The reason we picked Philips Air purifier over Xiaomi 2S, is not only because it offers better customer service but also a less noisy fan. The filter would easily last you around 6-7 months depending on the amount of pollution. This does not have an app integration or remote accessibility. You need to replace the carbon filter as well as HEPA filter periodically which amounts to ₹ 4000 and this is costly compared to other air purifiers. Honeywell is a popular international company that works B2B. It falls in the same price range as Philips AC2887 but this one has a better filter life of about 10 months. The filter life is significantly higher which saves you the additional cost of replacing the filter periodically. The effective area is up to 323 sq.ft which means it is good only for your small office space or bedroom. While there is no app integration or remote operability, it does, however, has an inbuilt memory so it won’t automatically switch back on in case of a power cut. The design is pretty boring and it is difficult to move around without wheels. 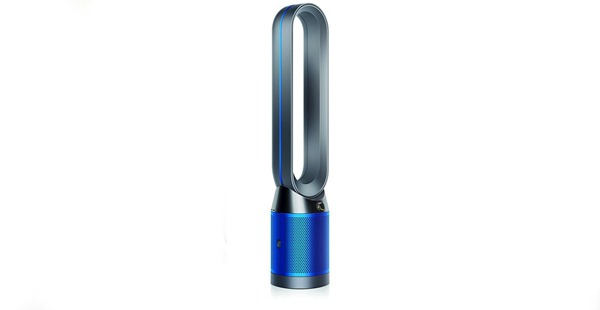 If money is not an issue for you, Dyson is the best Air Purifier to buy in India. It has a true “Glass-HEPA” filter and a mobile app which gives you a detailed report about the Air Quality Index. It also doubles up as a fan and provides cool and pure air. The air purifier also doubles up as an air cooler which is good in case of summers. The device has a 7 fan setting and is almost silent up to the highest fan setting. The H13 HEPA filter can catch particles up to 0.1 microns in size compared to HEPA filter which works until 0.3 microns. The filter replacement is cheap at 2690 INR. While there is no Air Quality Indicator on the device, you can check the pollution level in the app itself. There is no CADR rating provided anywhere on the website. 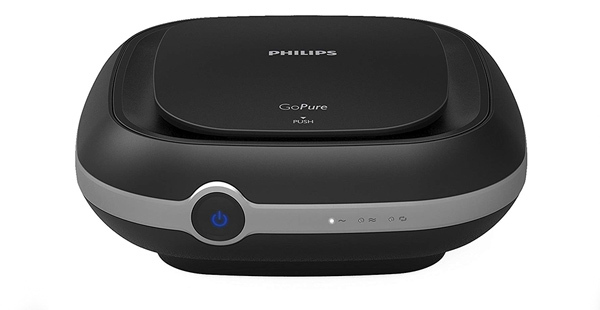 If you want to have cleaner air in your everyday car commute, this offering from Philips could be the ideal choice. It purifies the air inside your car and removes bad odour as well. It has a CADR rating of 14 m3/hr. The filter life is up to a year depending on the amount of pollution. The power consumption is 12V and it has automatic On/Off trigger. It comes with a bunch of accessories so you can place on your dashboard or mount it in the cup holder or attach it behind the headrest of your seat. The filter is not a true HEPA filter and the replacement is quite costly at 1900 INR. 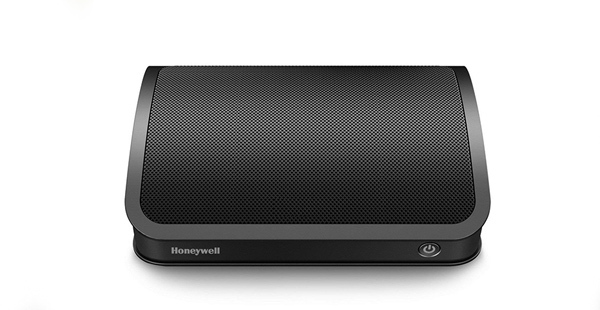 This offering from Honeywell has a lower CADR rating of 12 m3/hr but it has a HEPA filter, which makes it suitable for your Car or small office. This is completely ozone free and does not release any ions. The filter life is similar to Philips and lasts up to a year. The filter replacement is quite economical at 900 INR. It can be placed on the dashboard or strapped on the parcel tray. There is only a single button for everything. It would be better if they had a LED indicator for filter replacement reminder. What is the best Air Purifier in India? If money is not a concern for you, Dyson Pure Cool Air Purifier is the right choice for you else Mi Air 2s is the most bang for the buck. If you are looking for a cheap alternative from a tier one brand then you can try Philips Series 2000 AC2887. In case of your car, Honeywell Move Pure Car Air Purifier would be a good choice. In case of any further queries or suggestions, feel free to comment below.